I love this sign! It would definitely get me wanting to go and take a look. This entry was posted in Uncategorized and tagged funny signs, humor, humour, writing. Bookmark the permalink. Obviously what they are saying is objet d’art, I’d go and have a look too. 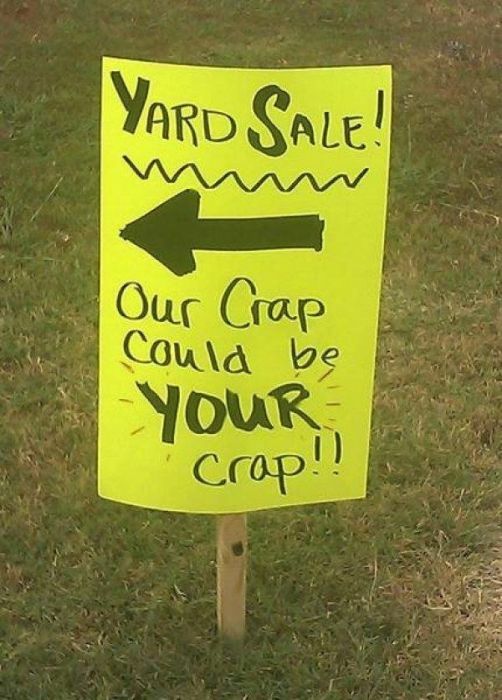 A lovely example of honesty over salesmanship. Refreshing in this commercial world. You don’t often see it, do you? !